Being a resident in an area void of any A&P stores, I figured I would take a look at some of the closest stores near me that were owned by A&P-- which were all closed by 2011. Even though I say these stores are close, they're not that close! All are at least hour or two away from me. So lets get started! The Centennial Beauty is restored! This location opened up originally as a true Centennial A&P in the 60's, along with many others. 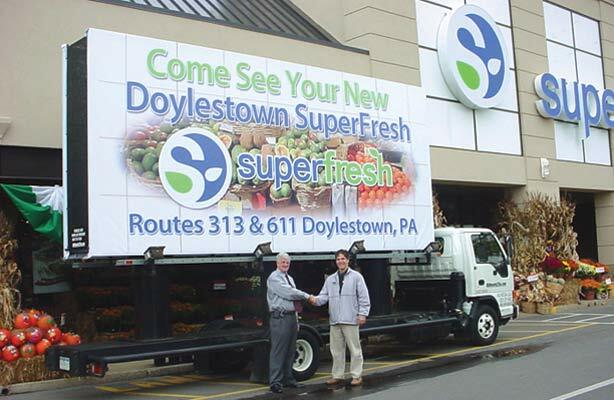 It was converted to Superfresh sometime during the 80's; and relocated to Bethlehem, PA on Rt. 378 in 1999. The building was extensively renovated and split up between two stores, including a Dollar General and True Value. (The third space is taken by True Value also). Just down the road, next to Rita's, is the footprint of a 50's style Acme (or older), and a standard 90's model Giant just a stone's throw away, which was renovated in 2015, complete with a Starbucks. I was at the store frequently during the renovations, and forgot to take pictures unfortunately. Maybe this will be the next "The Other Store" post! Many of you may be thinking "Didn't P's and Q's just say that the Superfresh was relocated? Why the hell am I looking at a Pathmark?" Well, that is a legitimate question. Like all usual conversions, this new store didn't last all that long. It opened with the center (the other major tenant being a Regal Cinemas; now an upscale bowling alley called Revolutions) in 1999. 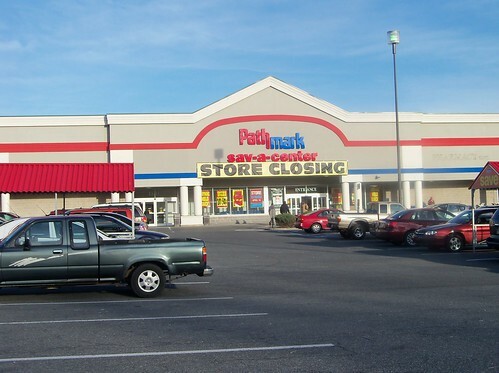 Switched to Pathmark after the first bankruptcy in 2010, and closed in April 2011 after losing its Pharmacy. The building sat empty for four years until being converted into multiple shops including a Dollar Tree and Gym, with the obvious Flagship poles still intact. Opening in 1988, this is a classic example of a Pathmark. 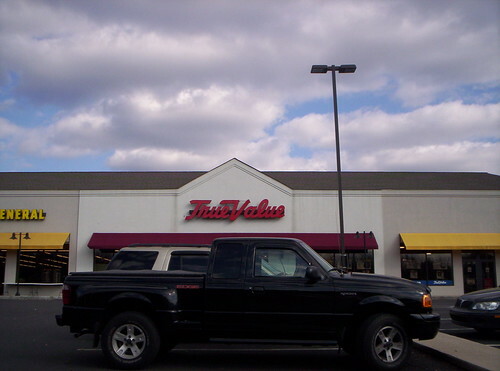 This store was replaced by the Superfresh on 378 (see above), and closed in 1997 with a few other Pennsylvania stores. Giant, opening no more than a month or two later, left the space almost untouched (well, a full remodel was included), until very recently with a facade upgrade. I pass by this area often (and it's my local Acme spot... so probably more than often), and I never knew, up until a month or two ago, that this store was a Superfresh. I never remembered it somehow. This store opened in the 80's as A&P's Futurestore prototype (glass front as seen in many stores around the U.S.), and was remodeled extensively in 2006, the same look as of now. This store most likely had a 'Fresh 2.0' remodel. There are no pictures inside of the interior available anywhere online. As it is, it took a long time for these few pictures I have to pop up on many Google searches. This store, closing in 2009, has since become a Giant. I shopped at this store recently for the first time in a long time (probably 5-6 years or so), and I have to admit, it didn't feel like a Giant that I knew. As soon as I came home from shopping that day, I looked up the store, and found this discovery that it was a Superfresh! Who would've thought? 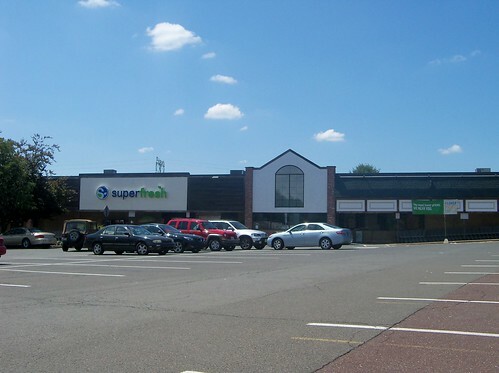 In the area, there is a very successful Acme (receiving almost every decor package in the chain), along with a Weis (Former Genuardi's), a small McCaffrey's, a few gourmet grocers, and a hell of an Italian Market, called Altomonte's. They also have a location in Warminster. Now, I don't curse much on this blog, but if the place is really good, it's worth a few points. I am contacting the design firm to see if they have any more pictures on file. Opening as a Thriftway in 1979. 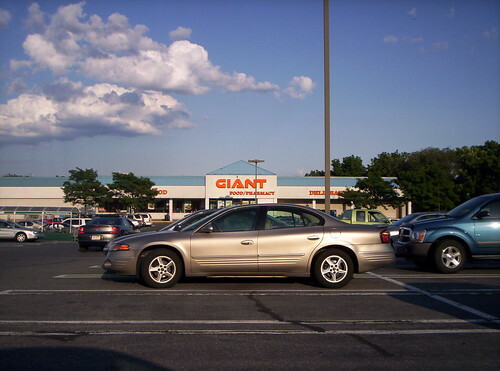 It was then sold with a bundle of other stores to Clemens in 1999, and sold to Superfresh at the end of the chain in 2006. It has since become a Gym... like everything else, it seems. In the area, there is a nice 90's-styled Giant (aren't they all? ), and a lot of mom-and-pop shops, along with the Bucks County Playhouse.